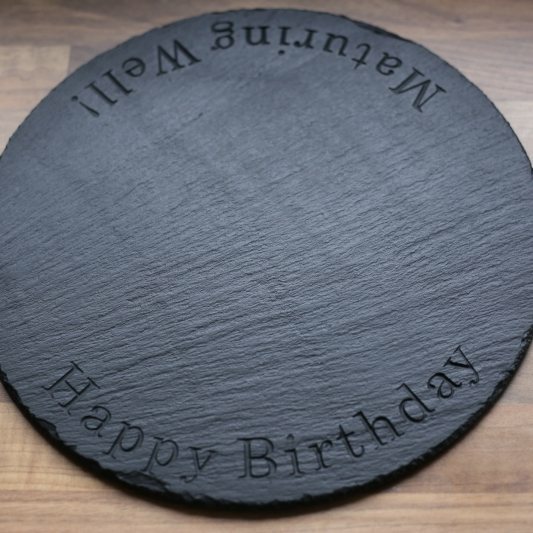 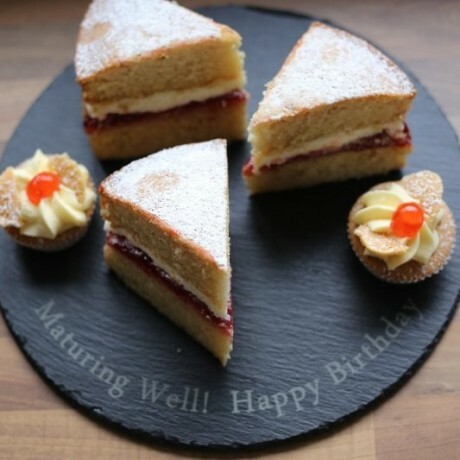 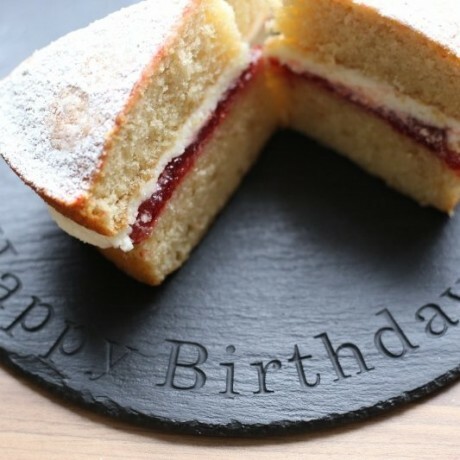 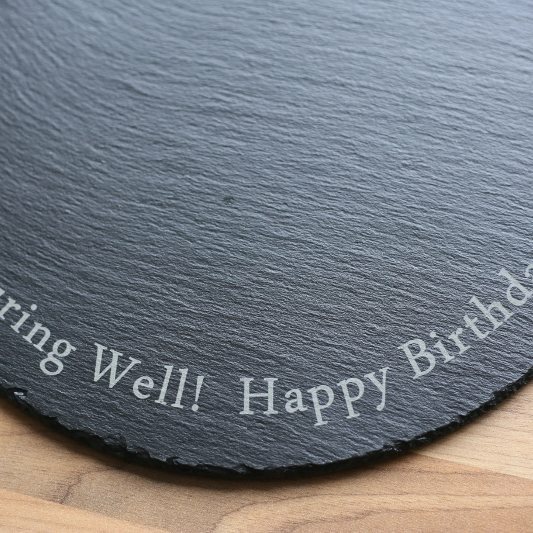 A beautiful handcrafted Large Round Slate Cheeseboard, which can be personalised. As well as providing an elegant centrepiece for any dining table, the slate also helps to keep the strong flavours of different cheeses separate in order to fully appreciate them. 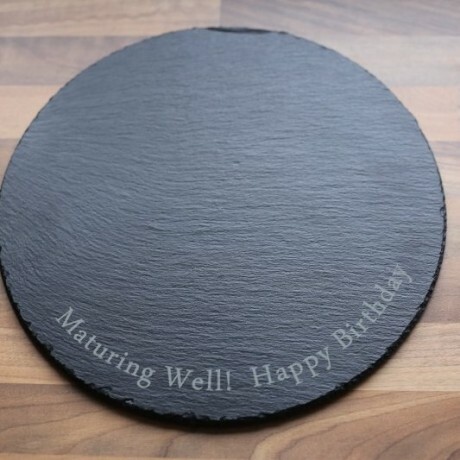 This cheeseboard is treated with natural oils and is entirely food safe - so you can use it as a platter for all kinds of other delicious foods as well. 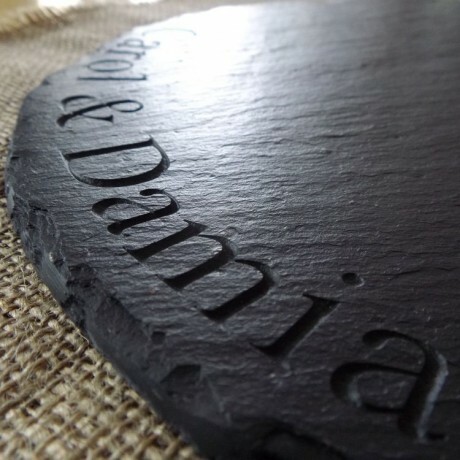 You can personalise the cheeseboard with a message using Deep Engraving or Laser Etching.